NETeller is a global leader in online financial services that allows consumers to make instant and secure payments over the internet. But when you’re not using the service anymore, you might be considering to close your account. In that case: I can tell you that all it takes, is a small email to their Privacy team. I have a Neteller account, but now I want to close it. In my case, I received a very kind email 1 day later, confirming me that the account has been permanently closed and NETeller is no longer able to provide service to this account. Now this email isnt avaliable : DATAPRIVACY(AT)OPTIMALPAYMENTS.COM. Where should I write now? By the way nice and very helpful website. I know what is the correct email address, but everytime when I send them I got back an error email, so can you check it that this email address is still a correct one or what is the problem with it? I wrote them to the new email address but I did’nt get any answer. Did it work for you Mukesh? Thank you for the effort of making this helpful artikel. 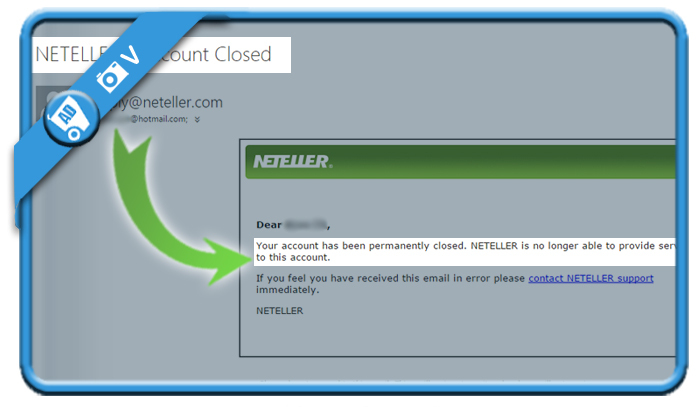 Colud you please share the email id for closing account from neteller account. Thanks Johan Van for this article. It was very important for me. Thanks man! you are awesome. Have successfully send the mail now waiting for there reply! I want to get suggestion from you that I will do more transactions on sites which are accepting currency USD but my account selected currency is INR. I was new to online transactions so I did that mistake. So now if I continue with my present Neteller account then I need to pay conversion fee every time I send money to other site. So I know, to avoid this extra cost I need to close the present account and need to sign up for the new account right from the start. But please tell me how I can get out my INR 418.98 Because I can withdraw to my bank account only when I must have a balance of at least 1,300.00 INR . So, please resolve this issue as soon as possible so I can proceed further. Thank you so much for writing this, you have no idea how great full I am to you! I was able to close my Neteller account immediately with a 3 minute phone call. You find the phone numbers for different countries in the support/contact section. The email confirming closure arrived before I even got off the phone! Thought this is a good option for those who wish to get it done quick. Thanks for your advise, it’s really appreciated! Hello, does anyone know what happens with your transaction history after you close your account? Can you still access it? I’m from Taiwan, wondering if I can close my account with a little bit money in it (the money is too less to withdraw). Hopefully you can reply me, thank you ver much. thankyou for this post. I have sent them an email hoping to close my account. Im unable to sign in to my account as ive lost my password , yet when prompted to reset my password im told ive entered wrong details! I know my own name and email for goodness sake. I have tried ringing their Australian number to be told its disconnected. I hope my email gets through to them, else im stuck and threatened with fees for not using my account! I signed up 2 years ago and never used it. I cant withdraw the money and they keep threatening me to take it plus charge me 3 separated fees before they shut it down. Fingers crossed your post has helped solve this nightmare.